Type “snoring remedies” into a search engine and you’ll see the usual suspects: mouthpieces, nasal dilators and special pillows amongst a few others. 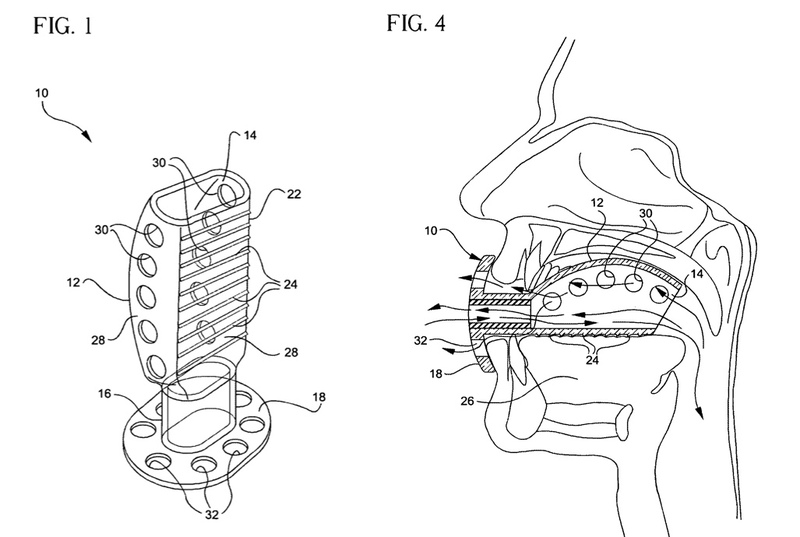 Mouthpieces and tongue retainers are effective and popular devices for treating snoring. Combining the two was never a good idea and was always doomed to failure. 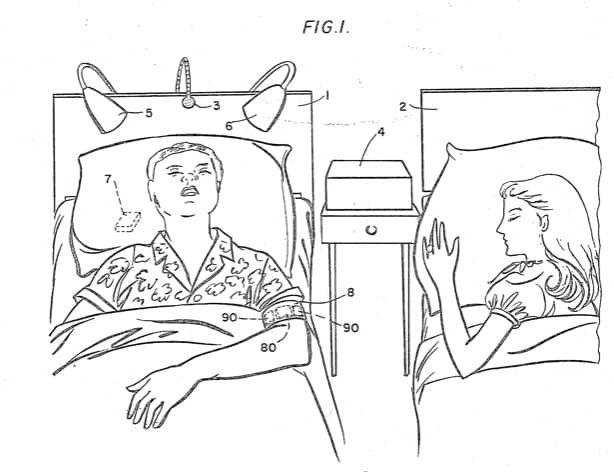 This patent, filed in 1962, has the right idea for preventing snoring: hold the base of the tongue clear from the airway to leave the passage of air unobstructed. The problem was how it went about doing so. The mouthpiece uses a tray to fit onto your top teeth. From the back of the mouthpiece, a paddle protrudes backwards and downwards to push your tongue base forward. Surely, there wasn’t a single user who didn’t vomit or gag uncontrollably when attempting to use this device. 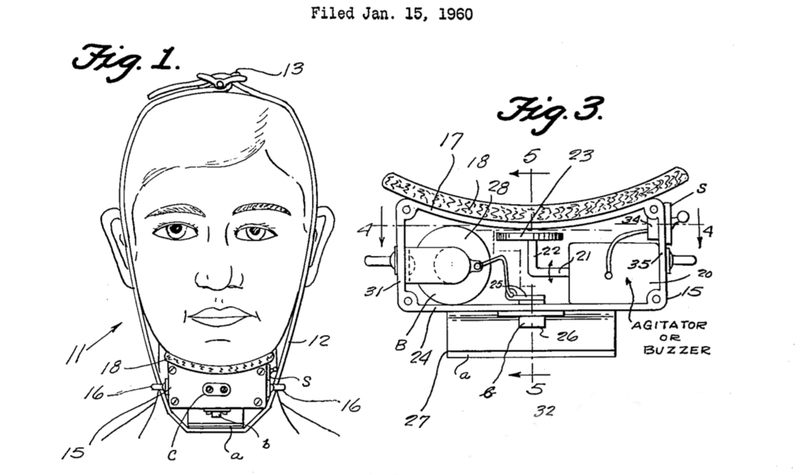 This is something we are more used to seeing on dogs to stop them barking, but back in the 1960s there were several patents filed for anti-snoring shock collars. 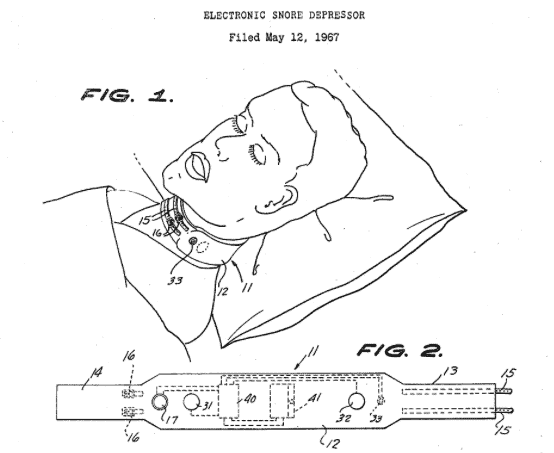 The idea was that when snoring was detected by the internal microphone, the collar would deliver an electric shock to the user and train them to stop snoring. Good sleep and frequent electrocution aren’t exactly happy bedfellows, so needless to say, the idea didn’t catch on. Many people snore because they breathe through their mouth instead of their nose. With this contraption from 1960, if your mouth inadvertently falls open at night the bulky unit under your chin detects this and sounds a buzzer, telling you to shut your mouth and go back to sleep. As you then struggle to get back to sleep, fearing the next imminent buzz, you wonder why you didn’t just get a chin strap. This is another device that has the right idea but implements it very strangely. Check out SomniFix for a more feasible alternative. Gag-less can be interpreted two ways: either it doesn’t involve gagging, just like wireless doesn’t involve wires; or it makes you gag less than alternatives, but can still most definitely make you gag. Looking at this device, we’d say the latter is more likely. This compressed tube fits inside your mouth to keep your tongue in check with its “saw-like” ridges. Anything described as “saw-like” surely has no place in your mouth. Many inventors loved the idea that you can use behavioral conditioning techniques to banish snoring. This device from 1975 treats you like a lab rat with a combination of negative and positive reinforcement to make you “learn” to stop snoring. When snoring is detected, the device activates a set of unpleasant prompts: light, sound, touch and pain. 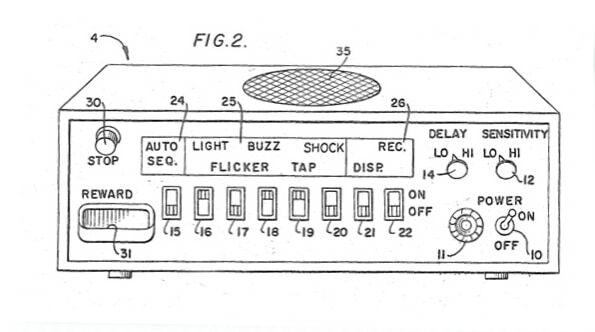 A buzzer under the pillow, flashing lights above the bed, and vibrations or electric shocks to the arm wake the user when they snore. The only way to turn off these intrusions is to press a “Stop” button on the central controller (number 30 in the above image). Once you have flicked the switch and learnt from this negative conditioning, positive reinforcement comes in the form of an M&M via the reward chute! Users soon found out that the biggest reward was flicking the “OFF” switch instead! Continuing along the behavioral conditioning theme, this device from 1962 simply named “Snore Alarm” listens out for snoring and then violently jolts your head to wake you up. It seems bizarre, but one of our favorite anti-snoring products available today doesn’t look too dissimilar to this device. Smart Nora listens for snoring and then moves the head to stop it. Importantly, Smart Nora’s actions are gentle and don’t intend to wake the snorer but instead bring back some muscular tone to the airway. Silent Partner is an eye mask that aims to use active noise cancellation to get rid of snoring sounds. The idea is good: a non-invasive sleep mask with small inbuilt microphone(s) and loudspeaker(s) to both detect the snoring sound and produce a “counter-sound” to cancel it out. This concept is much like that of noise cancelling headphones, but with a few additional challenges. These challenges have so far proved difficult to overcome. First, there’s the size of the loudspeakers. Snoring sound is made up of a mix of frequencies (or pitches), with more towards to low to mid range. Speakers small enough to fit in a sleep mask find it hard to produce the tones that can successfully cancel out these lower frequencies in snoring. Second, there’s the cancellation zone. 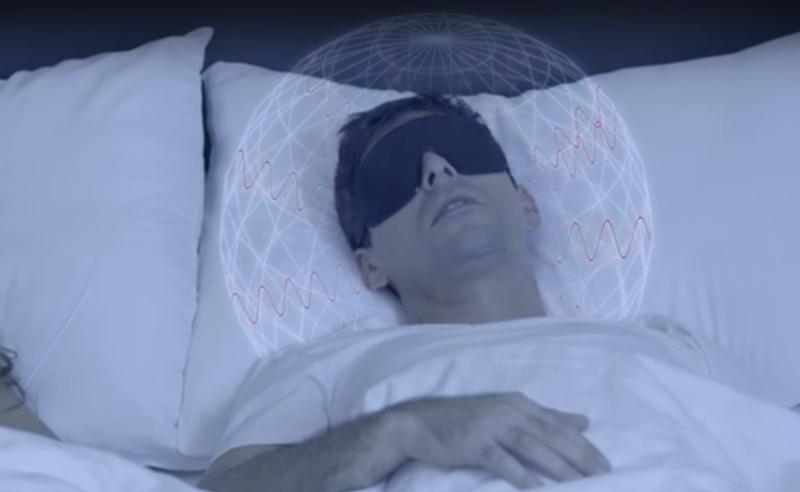 Silent Partner’s promotional video demonstrates a snoring user with a bubble of silence around the their head. Creating such an optimal bubble is extremely challenging and will always involve a compromise. Third is the nature of snoring itself. Snoring is a non-stationary noise; its energy fluctuates. Noise cancellation works very well on stationary sounds such as the gentle hum of an air conditioning unit or an aeroplane, but struggles to adjust to constantly changing sounds. If Silent Partner were somehow able to navigate these pitfalls, the distorted low-frequency sound that would ensue would probably be more annoying than natural snoring. After acquiring $1.6m from crowdfunding, the company hasn’t yet produced anything. The website has ceased to exist and the comments on its crowdfunding page don’t make for easy reading. Okay, so what does work for snoring? Hopefully, after seeing the bizarre array of anti-snoring techniques confined to history, you have a new found appreciation for the anti-snoring products available today. 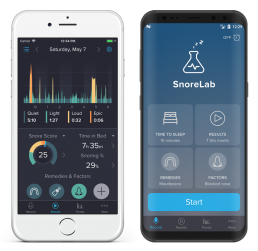 Check out our SnoreLab’s 7 most effective snoring aids to see what could work for you – no electric shocks necessary!